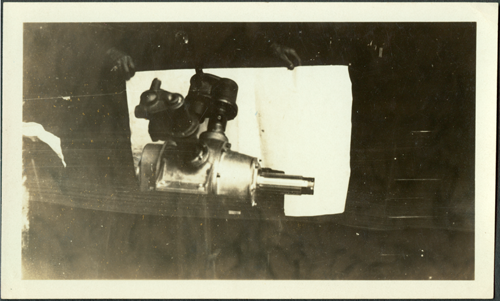 This photograph is dated April 12, 1933. 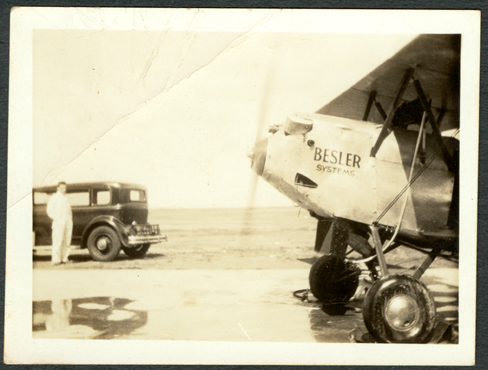 It shows the Besler Steam Airplane after its first flight. 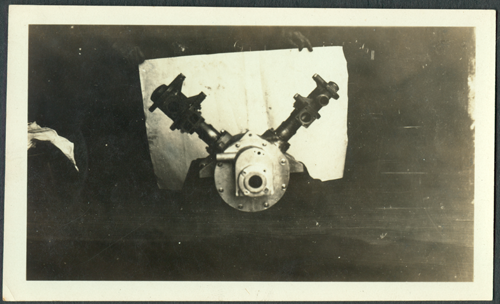 HHS' inscription on the back reads A ppicture of the steam plane after the first flight and self Wm Besler. 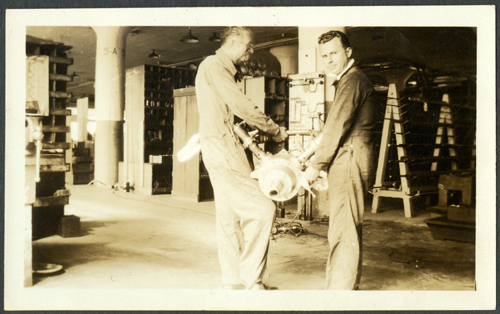 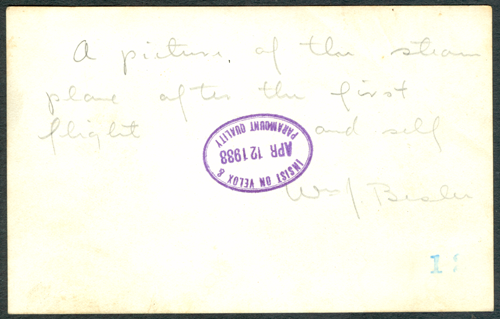 This photograph is dated May 13, 1933. 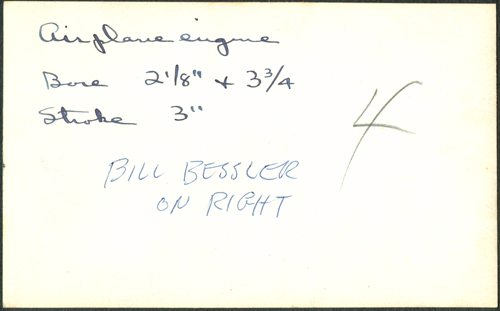 It shows the Besler steam engine working in the Besler Airplane. 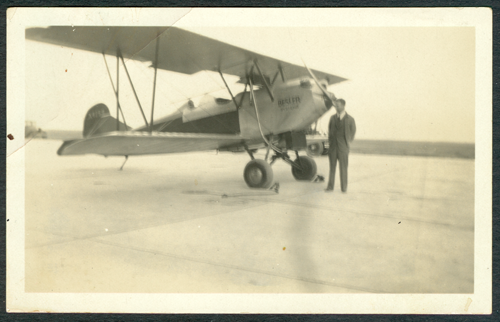 The car in the background is believed by John Stewart to be a Doble in which H. H. Stewart traveled to the airfield to see this demonstration. 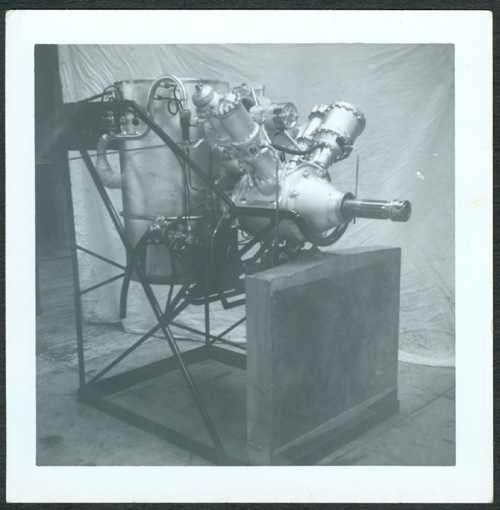 This is the Besler Steam Airplane engine on a test stand. 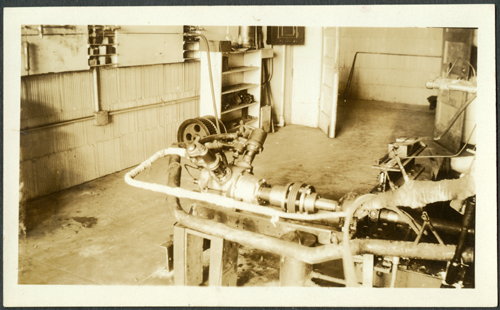 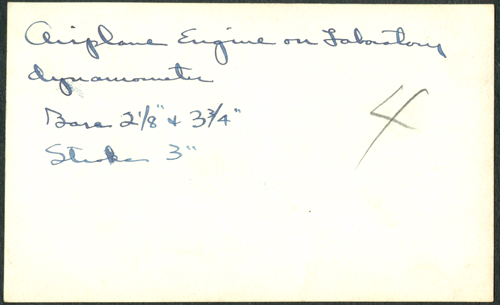 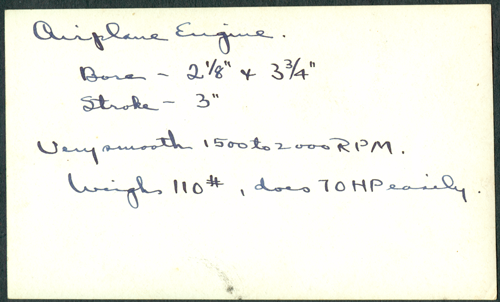 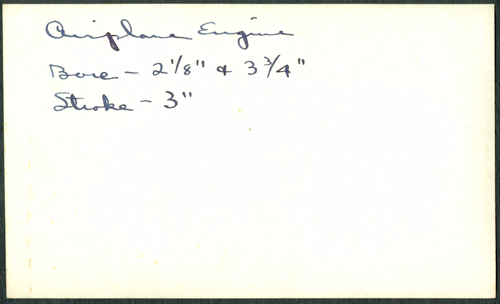 The following four pictures illustrate the Besler Steam Airplane Engine. 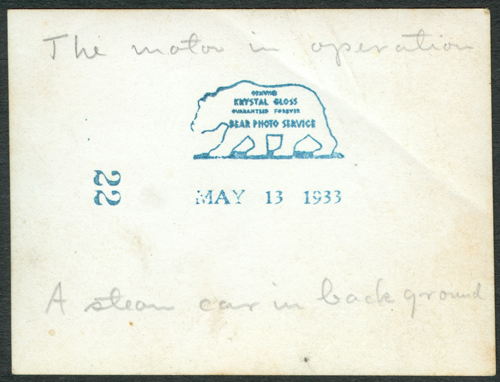 Stewart's notes are written on the back of each.